, working across brands such as Menulog, Revlon, Nissan, NRMA and LG (see below). Paul Nagy, who joined Y&R as chief creative officer in 2017, thanked Joubert for his contribution to the agency. "Dave was an integral part of Y&R's success over the last decade and we were sad to see him go. I have no doubt he'll do great things over at DDB and we wish him all the best," Nagy says. Hogg and Shaw have spent their careers in Sydney agencies. Hogg has held roles at Publicis, The Monkeys, Havas and was one of the foundation staff of Marcel Sydney. He boasts gigs at DDB, Ogilvy and TBWA on his resume. DDB Sydney confirmed Joubert was an addition to the team and will not replace anyone, but is yet to provide more detail. Joubert will report into chief creative officer Ben Welsh, who joined DDB in 2016 from M&C Saatchi. 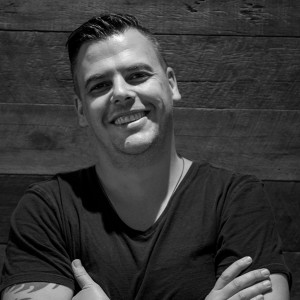 Top creative David Joubert has exited Y&R Sydney after nine years at the agency, joining DDB Sydney as creative partner, AdNews can reveal. Joubert started at Y&R in 2008, working his way up the ranks to land the ECD gig in 2014 alongside Bart Pawlak, who will remain at the agency. Richard Shaw and Jeremy Hogg replace Joubert as assistant creative directors, reporting to Pawlak. The duo join from Clemenger Melbourne and Marcel Sydney respectively. 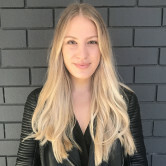 Joubert's work has been recognised globally and landed him a spot on the AdNews Creativity List for 2017, working across brands such as Menulog, Revlon, Nissan, NRMA and LG (see below).